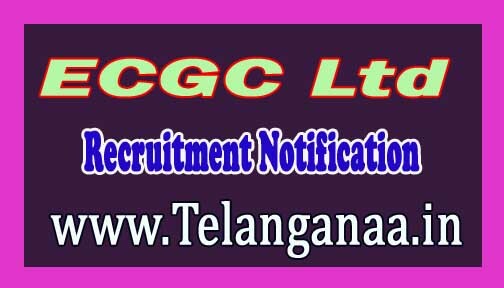 ECGC Ltd Export Credit Guarantee Corporation of India Ltd invites the online application for the position of 51 Probationary Officer. Apply online before 26-10-2016. Educational Qualification:- An associate member of the Institute of Accounting & Accounts of India (CA) - Institute of Company Costs & Works Councils or an Associate Member of the Institute of Enterprise Secretaries in India (ACS) or Chartered Financial Analyst (CFA) or Master of Business (MBA ) (Preferably Marketing - Finance) from a university - institution recognized by the Government of India OR Postgraduate in Economics - International Trade - Mathematics - Statistics from a University recognized by the Government of India. Selection process:- The selection is made on online examination and an interview. Application:- Interested applicants can apply online on the website www.ecgc.in from 05.10.2016 to 26.10.2016.